Vedic literature provides the first written record of agriculture in India with the Rig-Veda's descriptions of plowing, fruit and vegetable cultivation, fallowing, and irrigation. But rice and cotton were cultivated in the Indus Valley and plowing patterns from the Bronze Age have been excavated at Kalibangan in Rajasthan. Agriculture's historic import to India is also borne out by water-diversion projects such as the Anicut Dam, built in the second century CE and still in use today. India's contribution to world agriculture is significant and diverse—in 2008, the country ranked first in global production of tea, jute, sugar cane, and cashews. Agriculture employs roughly two-thirds of India's population, although the industry is responsible for only one-fifth of the country's gross domestic product. Approximately 43% of India's land is used for farming or agriculture, with nearly a third given to rice cultivation; the largest rice producing states are West Bengal, Uttar Pradesh, Madhya Pradesh, Kerala, Punjab (Basmati), Orissa and Bihar. 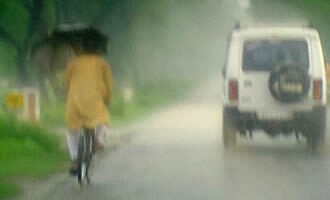 India's farmers rely on the seasonal monsoon winds to deliver much-needed rains, which can save or destroy crops. Although irrigation systems have lessened the impact of fluctuations in the summer monsoon, they have not eliminated the winds as a primary factor influencing agriculture. 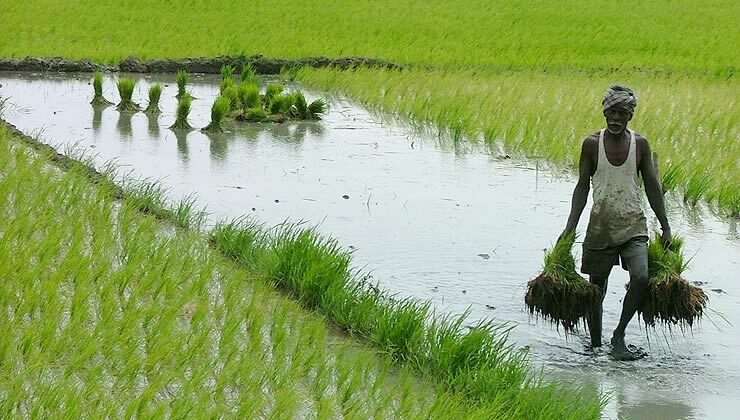 In the last few decades, monsoon management, including such measures as monitoring monsoon progression, developing contingency plans, and building seed reserves of alternate crops, has become a strategy for protecting the country's agricultural industry. The Grand Anicut Dam, or Kallanai, was first built in the second century CE where the Cavery River divides at Srirangam Island in south Indian state of Tamil Nadu. The Chola king Karikala, who developed building projects and vast irrigation systems during his reign, commissioned the structure in the first or second century. Kallanai, built of earth and stone, is 1,079 feet long and 66 feet wide and one of the oldest irrigation systems in use today. Kallanai diverts the Cavery, a river sacred to Hindus, into six canals that irrigate thousands of acres and form a rich delta in the Tamil Nadu region. Indigenous to India, jute, also known as burlap, is a plant fiber obtained from the plant species Corchorus capsularis and C. olitorius through soaking (retting) the plant's stalks. During the early 20th century, jute was India's most valuable export, widely used in sacks and grain packaging. Industrial production of jute developed in India in the late 19th century—jute was cultivated in eastern Bengal and manufactured by production mills in Kolkata between 1880 and 1929. Today, India is the largest consumer and producer of jute. 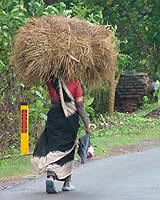 Jute grows best in a warm and wet climate and is well-suited to India's summer monsoon season. India is the world's second-largest producer of rice, a cereal grain belonging to the Oryza Sativa species. The origins of rice in India can be traced back approximately 5,000 years, and today, rice is grown on approximately 33% of India's cultivated land. Rice does well in a warm and wet environment, and farmers in India plant rice between the end of May and mid-October to take advantage of the summer monsoon season. The crop is grown on low-lying coastal plains and tidal deltas or on terraces in drier soil. In tropical climates, the seedlings are planted in beds and, after four to seven weeks, are transplanted by hand to fields, which have been flooded by rain or river water. In the 1960s, as part of India's Green Revolution, a food production program with the goal of complete food self-sufficiency for the country, farmers adopted a rice hybrid that produced high yields. Among India's leading rice-growing states are Tamil Nadu, Orissa, West Bengal, and Assam. What role have the monsoon winds played in Indian history? 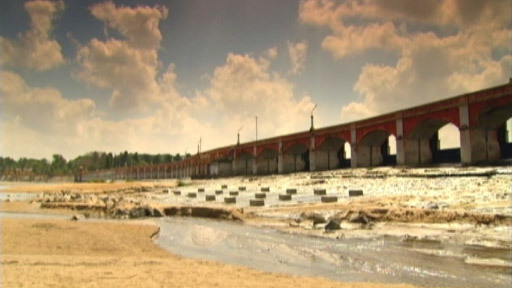 What is the importance of the Anicut Dam? What does its construction in the second century CE tell us about the Cholan Empire? While modern agriculture continues to employ 2/3 of the Indian population, it serves as only one fifth of the nation's GDP. What does this shift indicate about India's changing economy? Will agriculture diminish over time?